The cast of 'Afflicted: Daughters of Salem,' from left: Taylor Seward, Emily Jackoway, Alicia Smith, Jennifer Theby-Quinn, Samantha Moyer and Jacqueline Thompson. In the spring of 1692, a group of young girls in Massachusetts spawned a wave of hysteria after accusing others of witchcraft. The accusations led to the Salem Witch Trials and the execution of more than a dozen people, mostly women. Beginning Friday, Metro Theater Company and the Missouri History Museum present "Afflicted: Daughters of Salem," a play about the events that led to the Salem Witch Trials. "Cityscape" host Steve Potter talked with Julia Flood, artistic director of Metro Theater Company, and playwright, Laurie Brooks. Many people may be familiar with Arthur Miller’s 1953 play, “The Crucible,” concerning the Salem Witch Trials. “The idea of the Salem Witch Trials really permeates the culture and continues to fascinate people,” Flood said. The production also contains a strong educational component with resources for students and teachers. "Cityscape": A conversation about Metro Theater Company's production of "Afflicted Daughters of Salem." Metro Theater Company and the Missouri History Museum Present "Afflicted: Daughters of Salem"
Thursdays and Fridays at 10:00 a.m.
Can girls have short hair that isn’t a hairstyle? Can boys try on tutus? In ways both overt and subtle, society often says they can’t, or at least, they shouldn’t. 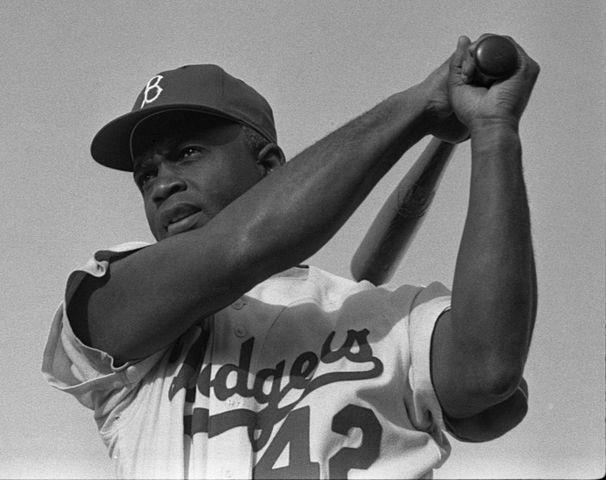 Jackie Robinson was a baseball player who broke the so-called “color barrier,” becoming the first African American player in Major League Baseball’s modern era. He debuted with the Brooklyn Dodgers in 1947. St. Louis’ Metro Theater Company presents a play about the life of Jackie Robinson called Jackie and Me. The production follows Joey Stoshack, a boy who discovers a rare baseball card is his ticket to travel back in time to Branch Rickey’s office on the day Robinson becomes an MLB player. 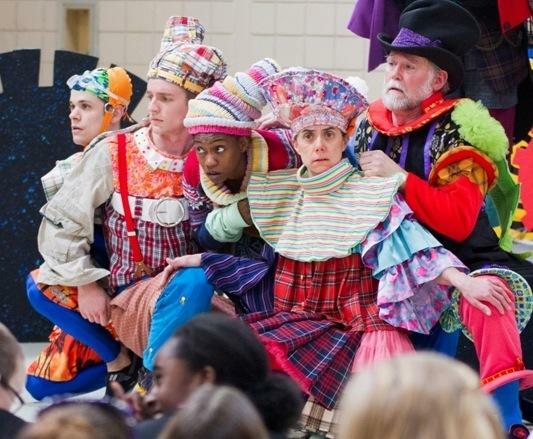 Since the 1970s, Metro Theater Company has been performing thought-provoking, and often original, works for young audiences in St. Louis and beyond. 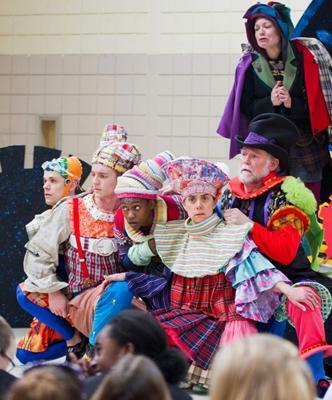 Currently the company is touring area schools and stages performing “Unsorted” by Wesley Middleton. The forty-minute drama explores themes of identity and belonging through characters that personify pieces of clothing. Metro Theater Company Artistic Director Julia Flood and Old Bonhomme Elementary School teacher Lori Humphrey joined Cityscape host Steve Potter in studio to discuss the play.